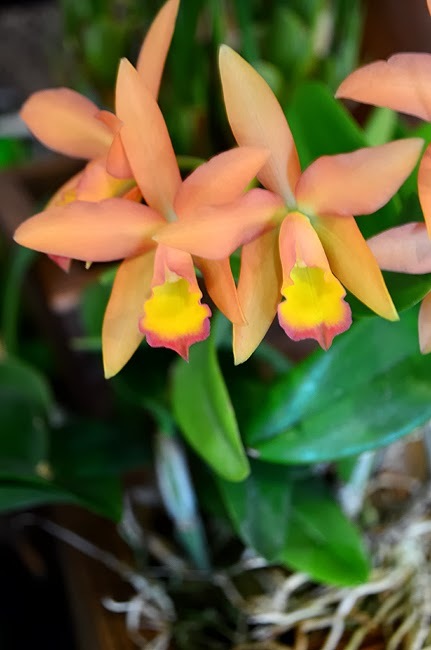 One of the perks of the Atlanta Botanical Garden's Orchid Daze exhibition is that the Atlanta Orchid Society holds their annual Orchid Show at the Garden...and it was pretty awesome! The Show is presented in Day Hall, adjacent to the Parterre Garden, and fills the entire space. I can't imagine how many orchid blossoms there are in the show! 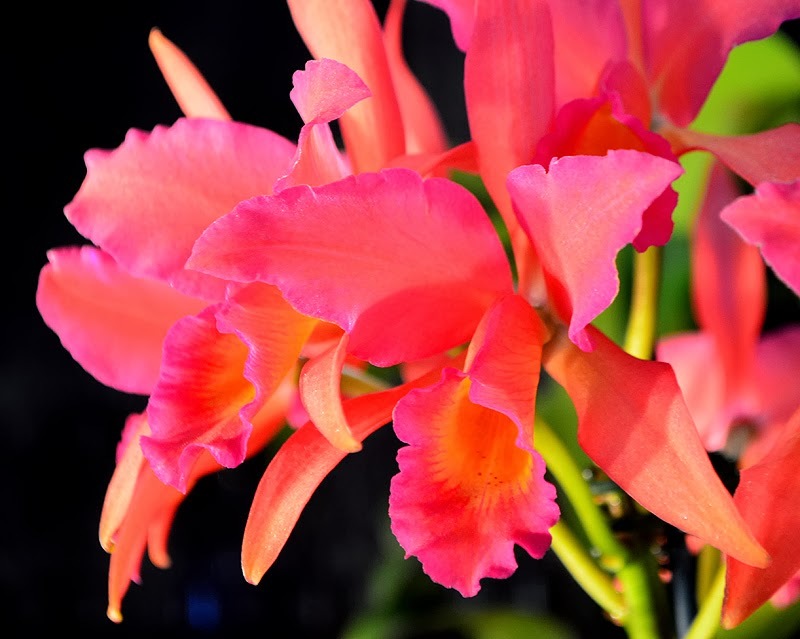 And I always see varieties that I've never seen before—not terribly difficult given orchids have more varieties than any other flowering plant on Earth! I'm loving the first few photos in this post. All the photos are of course mine, but they turned out well because some of the vendors provided dramatic lighting...fantastic for those of us who had cameras—and there were a LOT of us! 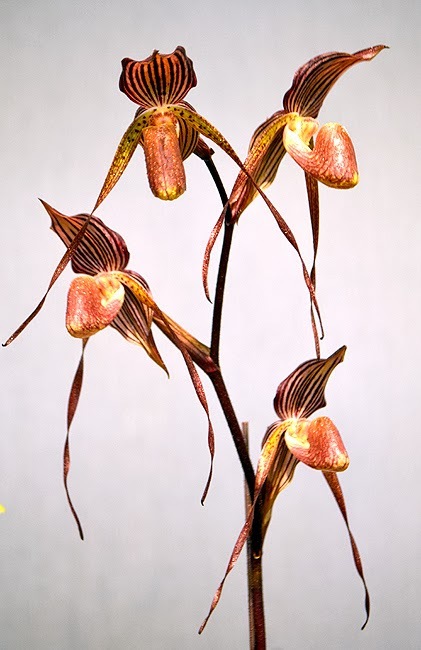 One of the vendors, artist Larry Mayse of Nature Glassworks, "was one of only 17 artists worldwide selected by the Smithsonian Institution in Washington, D.C., to have works included in their The Artistry of Orchids exhibit." His resume is quite impressive! Some of his Mayse's work was on display at the Show and it's stunning! 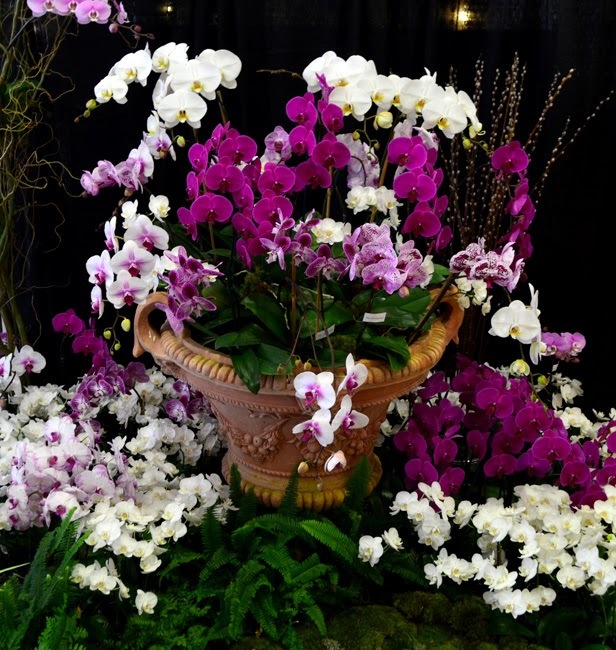 A few of the others at the show were Kool-logs, Peach State Orchids, Orchid Inn, Marble Branch Farms, J&L Orchids, Owen's Orchids, Odom's Orchids, Chidori Orchids Study Group, and several others. They've been around since the year my mother was born! And they're one chapter of approximately 550 local chapters associated with the American Orchid Society. Who knew there were so many?! 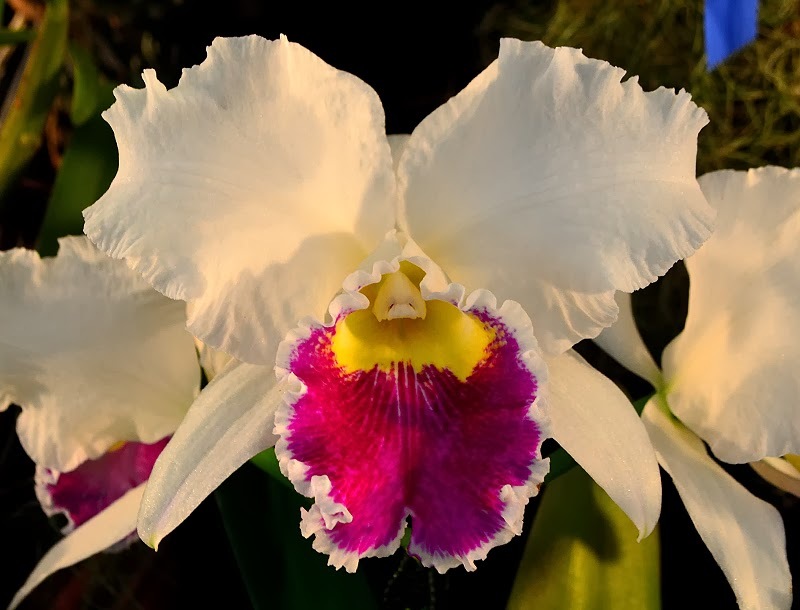 The Atlanta Orchid Society meets at 8:00 p.m. on the second Monday of each month at the Atlanta Botanical Garden and they welcome visitors! I've not seen any hard data, but I believe that given the popularity of the Fuqua Orchid Center as a Garden destination, the Society's membership must be pretty enthusiastic. 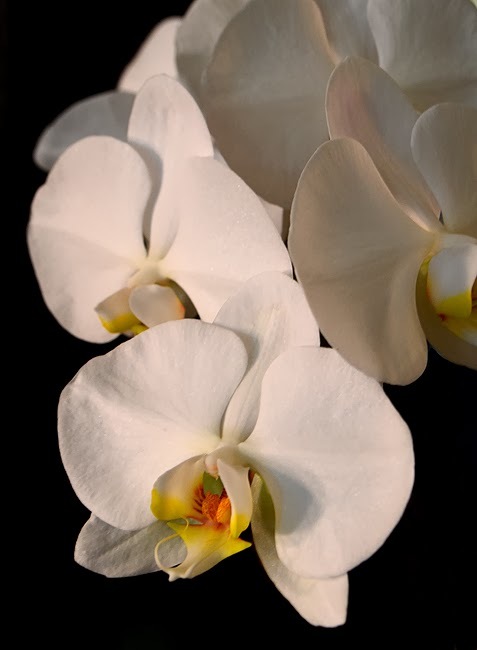 If you'd like to learn more about orchids, the Atlanta Orchid Society has a decent Orchids 101 on their website. 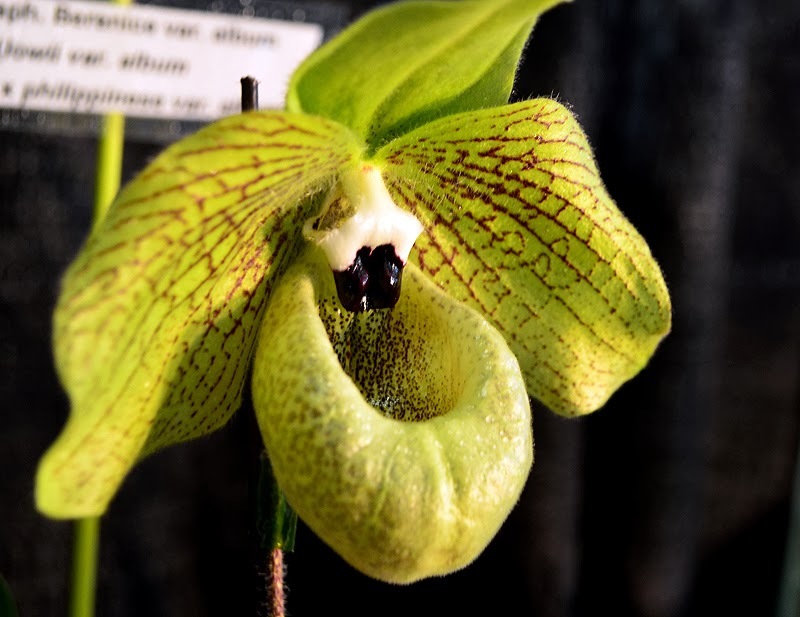 And of course the Atlanta Botanical Garden has a number of resources, including The Orchid Column, a blog authored by Becky Brinkman, Manager of the Fuqua Orchid Center, and an orchid reference library. 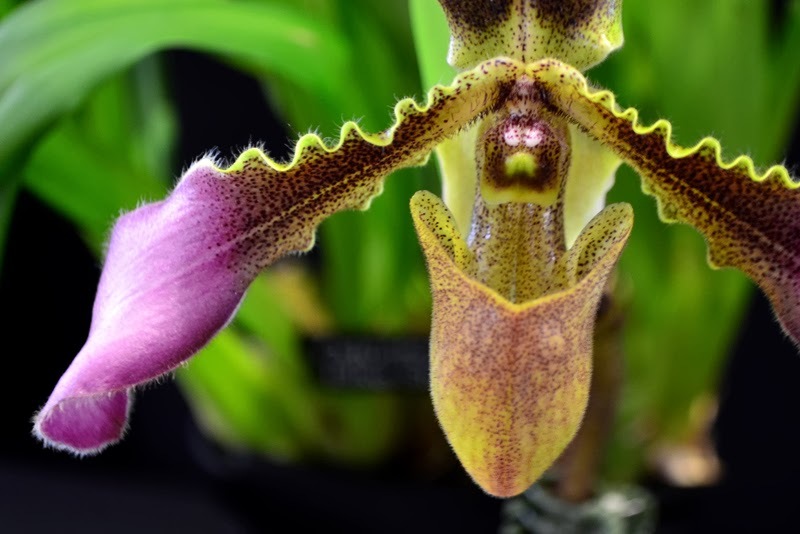 If you missed the Show, you can still catch Orchid Daze through Sunday, April 13, and you can visit the Fuqua Orchid Center all year long! 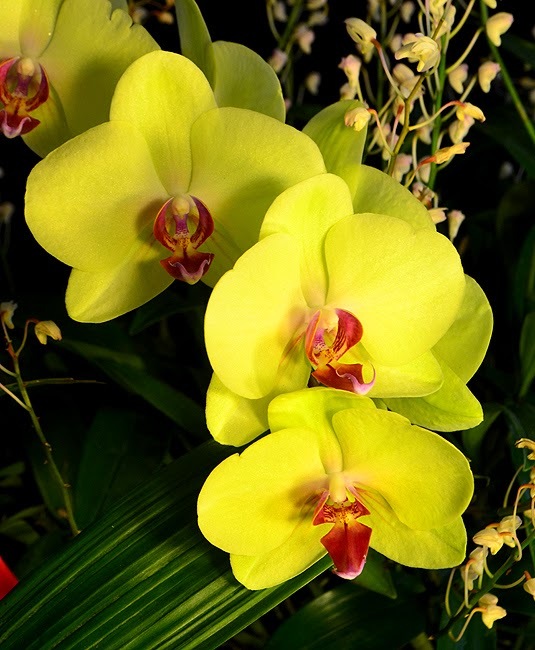 You'll never be for want of spending time exploring the amazing world of gorgeous and interesting orchids. If you'd like to see a few more unique orchids, check out these on the Orchid Society's website. 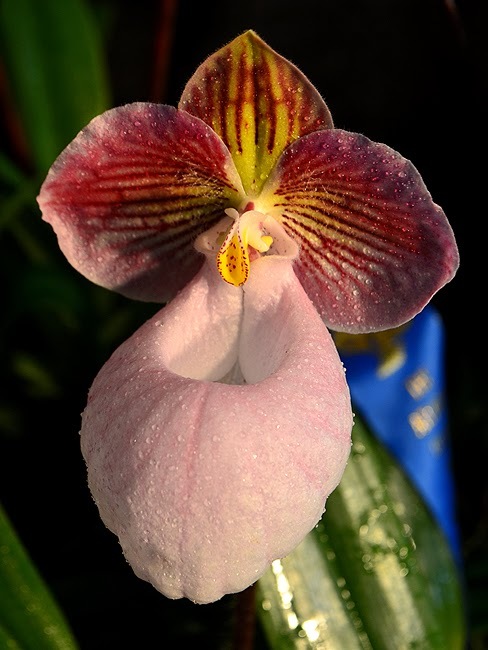 The Orchid Show takes place every year during Orchid Daze, and there are LOT of other shows at the Garden throughout the year, so "Like" them on Facebook, become a member and get the member newsletter Clippings, or sign-up for Garden emails, which include event announcements.